Are Tote Bags Really Good for the Environment? They’re green in principle, but not in the way people use them. An Object Lesson. For at least a few decades, Americans have been drilled in the superiority of tote bags. Reusable bags are good, we’re told, because they’re friendly for the environment. Disposable bags, on the other hand, are dangerous. Municipalities across the country have moved to restrict the consumption of plastic shopping bags to avoid waste. Many businesses have stopped offering plastic sacks, or provide them for a modest but punitive price. Bag-recycling programs have been introduced nationwide. But canvas bags might actually be worse for the environment than the plastic ones they are meant to replace. In 2008, the UK Environment Agency (UKEA) published a study of resource expenditures for various bags: paper, plastic, canvas, and recycled-polypropylene tote bags. Surprisingly, the authors found that in typical patterns of use and disposal, consumers seeking to minimize pollution and carbon emissions should use plastic grocery bags and then reuse those bags at least once—as trash-can liners or for other secondary tasks. Conventional plastic bags made from high-density polyethylene (HDPE, the plastic sacks found at grocery stores) had the smallest per-use environmental impact of all those tested. Cotton tote bags, by contrast, exhibited the highest and most severe global-warming potential by far since they require more resources to produce and distribute. Such results feel deeply counterintuitive. HDPE bags seem foreign, artificial. They lodge in trees, catch in the esophagi of animals, fester in landfills, clot cities, and are reduced to small particles floating in ocean gyres—for hundreds of years into the future. But even though they don’t easily degrade, they require very few resources to manufacture and transport. They produce less carbon, waste, and byproducts than cotton or paper bags. They’re recyclable. They’re cheap. For all those reasons, they’re ubiquitous. And they remain, long after their usefulness is exhausted. As the esteem of its environmental benefit has fallen, the tote has simultaneously grown in stature and ubiquity. 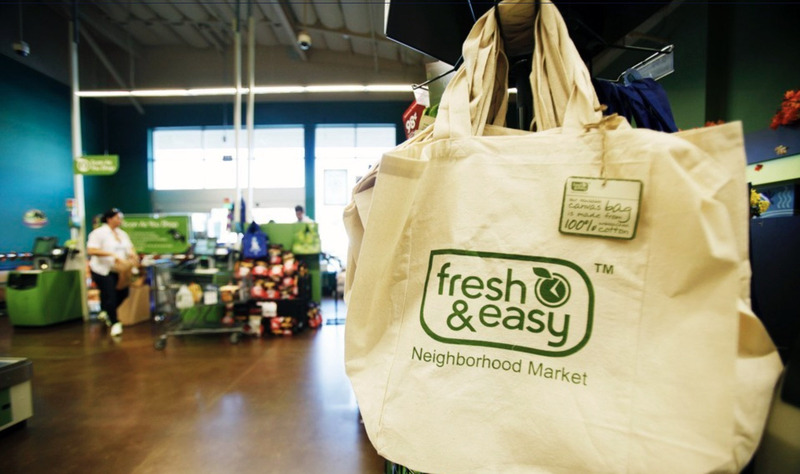 Many stores offer inexpensive (or even free) reusable bags at the register, stamped with logos. Designers have latched onto the form and increased its stylishness. Totes are handed out as promotional gifts by nonprofits and businesses, a gesture that sends contradictory messages: one of conscientious consumption, another of conspicuous consumption. Just like plastic bags, totes multiply. In a 2009 article about the bags for Design Observer, the Urban Outfitters designer Dmitri Siegel claimed to have found 23 tote bags in his house, collected from various organizations, stores, and brands. Like plastic sacks, tote bags, too, now seem essentially unending. Because of their ubiquity, tote bags that have been used very little (or not at all) can be found piled on curbs, tossed in trashcans in city parks, in dumpsters, everywhere. Their abundance encourages consumers to see them as disposable, defeating their very purpose. This low-grade, unfocused mania for averting impending ecological disaster seems to be more harmful than helpful, which is a problem throughout popular environmentalism. Meat eaters decry the water usage demands of almond groves. Conscientiously piled garbage overflows from public trashcans to rot in the street. Studies show that Kenya-grown roses flown to England have a lower carbon footprint than those grown and shipped from Holland, that it’s less ecologically damaging for Americans east of the Mississippi to import wine from France than from California. Biodegradable plastics proliferate as single-use containers and utensils, greenly filling the demand for disposable goods rather than questioning it. Fuel economy and emissions standards for cars and trucks are considered, barely, but not those of oil tankers, container ships, military escapades, which can produce tens of millions of times the amount of carbon. The bag was originally sold in limited numbers at Hindmarch boutiques, Colette and Dover Street Market in London, but when it went into wide release at Sainsbury’s 80,000 people lined up to get one. When the bag hit stores in Taiwan, there was so much demand that the riot police had to be called in to control a stampede, which sent 30 people to the hospital. Whether they're delicately handled designer goods or a promotional product dirtied by daily wear, few totes are made to last long enough to obtain the number of uses required to reach resource-expenditure parity with the plastic bags they were meant to supplant. Though they promise timelessness and sustainability, they develop holes, straps come undone, seams disintegrate. They become fouled with stains and grime. “Sarah De Belen, a 35-year-old mother of two from Hoboken, N.J., says she uses about 30 or 40 plastic bags at the grocery store every week. Late last year, she saw a woman at the supermarket with a popular canvas tote by London designer Anya Hindmarch and promptly purchased one online for about $45. The most (or least) virtuous feature of tote bags might be that people don’t actually use them. Every product is manufactured and consumed with some ideal in mind. Pictures of tote bags—such as those from stock photo websites or advertisements—make the ideals we project on them visible. People are depicted carrying fresh fruits and vegetables in their tote bags at a sunny farmers’ market. These people are seen in intimate groups. They wear casual, modest, warm-weather clothing. They don’t handle digital devices. They take their bags to the beach, the park, art openings, concerts, through cosmopolitan urban communities and idyllic rural escapes. They are fulfilled and creative. They are middle class. They inhabit the landscape of tote-bag dreams: healthy, waste-conscious and ecologically responsible, conservatively ethnically diverse, carefree but productive, connected, affluent, tolerant, adventurous, optimistic. But the most (or least) virtuous feature of tote bags might be that people don’t actually use them. An online poll conducted in 2014 by the marketing research firm Edelman Berland found that about half of respondents typically choose to use plastic over reusable bags, despite also owning reusable bags and recognizing their benefits. Only 20 percent of those polled said that they prefer using plastic bags, but almost half of all respondents said that they usually forego reusable bags even when they’re the easier, cheaper option. And the actual practice may be even lower, with use rates for tote bags estimated at about 10 percent. So long as their owners don’t throw them away, their negative impact remains minimized, at least—they might yet be used 327 times. Ecologically speaking, the best practice for tote bags might be one of two extremes: use them all the time, or not at all. © Copyright Elevated Enviro 2017-2018. All Rights Reserved.